Jun 26, 2015 It is unusual that you continued to take a product for 3 years but feel you did not have favorable results. 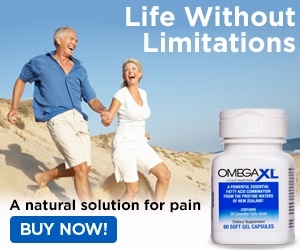 Omega XL has hundreds of thousands of customers who continue to purchase our product on a monthly basis. Thousands of them have given testimonials to the benefits they have received. We would like to address your concerns, but you have chosen to remain anonymous, so that isn’t possible. We recommend that you contact the service professionals in our Customer Advocacy Group at 1-800-607-0419, or cagsupport@greathealthworks.com. Review #627353 is a subjective opinion of User627353. "did nothing to reduce information"
Do a spell check before you send out your comments.